Google Photos is easily one of the best services that the search giant provides. Its big main feature is the fact that it allows you to store an infinite amount of high-quality photos with seemingly no loss to their imagery. But it also has a lot of tools to help you find the pictures you are looking for, share them, and make them into cool clips or collages. We've all seen videos, auto-generated by Google Photos by a bunch of memorabilia, which the app detected was taken at a specific place, time, event, or have a running theme among them. We've also tested out the app's ability to distinguish dogs and even specific breeds in pictures. What Google did now is it put both algorithms to work together, essentially generating sweet slideshows of various users' pets. This has been reported on Reddit by a user who goes by _mars_. 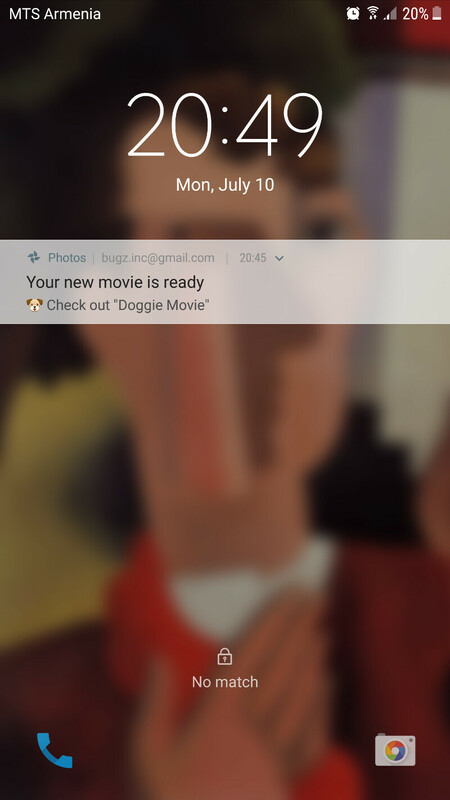 He picked up his phone to find a very specific notification by Google Photos — “Check out Doggie Movie”. Turns out, the service picked out a bunch of pictures of his dog and then applied a barking theme song to the mix. In the same Reddit thread, users are reporting that the app does the same for cats, too. While Google hasn't announced any specific upgrades for Photos, it is obviously working on further enhancing its auto-generated media feature, making it cover a wide range of themes and surprising us with more fun stuff. We know that the pet owners among us are eagerly waiting for their own Doggie Movie to pop on the Photos Assistant screen. But who knows what other hobbies Google might cover next? Bike Movie? Skate Movie? Guitar Movie? Yes, please!